Acceptors for the seven races on day two of The Festival are revealed today with Master Minded, seeking to become only the second horse, following on from Badsworth Boy in the 1980s, to win the Seasons Holidays Queen Mother Champion Chase three times, among 14 entries remaining in the £320,000 Grade One contest (due off at 3.20pm). 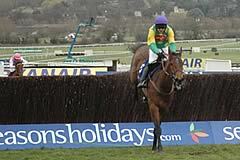 Trained by Paul Nicholls, the seven-year-old Master Minded scored by 19 lengths in 2008 and by seven lengths from Well Chief in 2009. He disappointed on his seasonal return at Cheltenham in the Connaught Chase in November, when third to Well Chief, but was subsequently found to be suffering from a fractured rib. Last time out, he looked to approaching his best once again with an imperious 13-length victory over Mahogany Blaze in the Game Spirit Chase at Newbury on February 13. 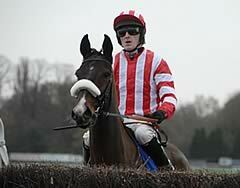 Nicholls is also set to be represented by Twist Magic, a Grade One scorer on his latest two starts. Forpadydeplasterer will attempt to re-ignite the triumphal scenes that followed his breathtaking victory at last season’s Festival. The eight-year-old gave Tom Cooper the biggest thrill of his career when holding off Kalahari King by a short-head to win the Grade One The Irish Independent Arkle over the course and distance and the Tralee trainer is pleased with his stable star’s progress following a setback that almost derailed this year’s Festival bid. He was last seen finishing 15 lengths second to Twist Magic on unsuitably soft ground in Sandown’s Grade One Tingle Creek Chase on December 5.
Cooper revealed today: “I am very happy with Forpadydeplasterer at the moment, he is fit, fresh and well. He had a setback but he is well over it now. We are going to Cheltenham without a run but I don’t think that should be a problem. “I think the Tingle Creek was a great effort on that ground - he had good horses behind him. The Irish-trained contingent of five also includes Big Zeb, who got within a head of Master Minded at last year’s Punchestown Festival, the 2006 hero Newmill, as well as the useful Willie Mullins-trained pair of Golden Silver and Barker. Wednesday kicks off with the £75,000 140th Year Of The National Hunt Chase Challenge Cup (1.30pm), which has attracted 27 acceptors, while Rite Of Passage, trained in Ireland by Dermot Weld, is a clear favourite for the £100,000 Neptune Investment Management Novices’ Hurdle (2.05pm), for which he is one of 34 going forward. A mouth-watering renewal of the £150,000 Grade One RSA Chase (2.40pm) is in prospect with 17 horses still engaged at today’s confirmation stage. Nicky Henderson, the most successful current trainer at The Festival, looks to hold the aces with the exciting trio of Long Run, Punchestowns and Burton Port, the first two being Grade One winners this season and Burton Port a Grade Two scorer at Ascot last time out, while other leading contenders include Weird Al, unbeaten over fences and a winner twice at Cheltenham already this season, and Diamond Harry, who showed high-class form over hurdles and has won his two starts over fences. The handicap action on Wednesday consists of the £75,000 Grade Three Coral Cup (4.00pm), always an ultra-competitive affair which has attracted 75 acceptors, and the £75,000 Grade Three Fred Winter Juvenile Novices’ Handicap Hurdle (4.40pm), for which 65 four-year-olds go forward. 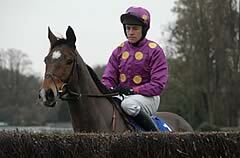 Day two of The Festival 2010 concludes with the £60,000 Grade One Weatherbys Champion Bumper (5.15pm). Since its inception in 1992, Irish-trained horses have won 14 of the 17 runnings and that dominance could well continue as they account for 14 of the remaining 28 entries in the extended two-mile contest. Among the Irish-trained contenders are Elegant Concorde and Hidden Universe, the two market leaders who both hail from the Dermot Weld yard.